A simple, beautiful ballad which has been recorded in a wide variety of settings, in primarily 2 different keys. This song, like many of McIntosh's, works well in a wide variety of settings. The simple melody is very open for interpretation, and the chord progression is one of those that begin in minor and work their way down, resolving to the relative major (as in the standard Blue Skies). The staccato articulation in the seventh measure of the A section works better at medium swing tempos than in a ballad setting, though Howard McGhee's ballad version uses that articulation. The recording starts with a four-measure rhythm section intro, featuring piano, with arco bass. Our audio excerpt starts at the melody. Composer Tom McIntosh is also the arranger and trombonist on this recording. Titled from the famous quote of the Gettysburg Address, "With Malice Toward None" appears on surprisingly many recordings. One of the reasons why it remains much lesser-known than many standards may be the ambiguity of its title. It has been recorded under the names Malice Toward None, Malice Towards None, With Malice Towards None and even once Mallets Towards None. This last was Milt Jackson's version, one of the earliest. The first recording, featured here, was by James Moody in 1959. Moody played this version on flute, but on his 1963 version on the album "Great Day," he played tenor sax. This was the first of many recording projects that Tom McIntosh did with James Moody, and we'll be visiting lots of them on jazzleadsheets.com. For now, you can also check out Cup Bearers, Capers (see the Description Notes) and The Day After (see the Historical Notes). On Dizzy Gillespie's "Something Old, Something New" album, Moody also recorded McIntosh's composition November Afternoon. This is pianist Tommy Flanagan's first recording of With Malice Toward None, and Tommy sets up the melody with a beautiful four-measure solo piano (in tempo) introduction which leads into the downbeat, setting up Howard McGhee to start the trumpet melody on the second beat. A little over three months earlier, on March 2, 1960, Tom McIntosh (on trombone) and McGhee, along with James Moody (tenor sax) recorded together on a session for vocalist Eddie Jefferson. Pianist Ronnie Mathews sets up the melody with a two-measure rubato intro. Hardman comes right in on the downbeat with the melody. Bassist Doug Watkins plays arco for the first A section. We have no information about which musician (or producer?) might have brought this title to the session. But it's a pleasure to encounter jazzleadsheets.com's Ronnie Mathews and Doug Watkins together. Our audio excerpt starts with the melody, which is set up by an eight-measure solo piano introduction, then Tommy solos a whole chorus with bassist George Mraz before playing the melody. 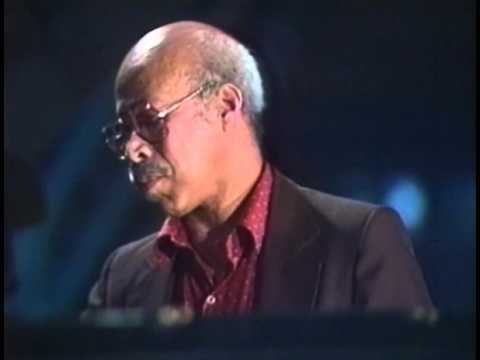 Tommy Flanagan started recording with George Mraz on Tommy's trio album "Eclypso" (February 4, 1977) where he recorded McIntosh's Cup Bearers for the first time. They also recorded two more sessions together in 1978, prior to the session featured here. They continued doing many sessions together through the years into the 1990s. Although this is a Frank Morgan album, the whole track is just Tommy Flanagan showing you how great this composition works both for solo piano and as a rubato piece. The only "time" Flanagan consistently sets up is when he plays McIntosh's figure in the seventh measure of the A sections. Flanagan plays an introduction, a rubato solo chorus and then rubato melody, except, when he plays the seventh-measure figure the second time, he continues playing stride through the bridge. This is an absolutely gorgeous recording by a true master! Tommy Flanagan's solo piano recordings are all masterful. Compare this recording with his video at the Montreaux Jazz Festival. This is a live recording. Tommy sets the melody up with a bluesy solo chorus that goes into stride for the bridge, then gets bluesy again before he sets the tempo for the rhythm section and the melody. Our audio excerpt starts with the melody. Another incredible trio recording by one of the masters of trio playing. This particular Tommy Flanagan trio also recorded together from 1993 through 1998. On our 1997 session, they also recorded a medley of two other McIntosh compositions, The Balanced Scales and Cup Bearers. Lewis Nash started recording with Flanagan in 1990, and in 1993 they recorded Tommy's "Flanagan's Shenanigans" trio album (with Jesper Lundgaard on bass) on which they also recorded McIntosh's The Balanced Scales. Peter Washington first recorded with Flanagan in 1991 on a Bobby Hutcherson session with Billy Drummond on drums. This time the melody features the tenor saxophone artistry of Benny Golson along with Tom's long-time friends Kenny Barron on piano and Richard Davis on bass. After Kenny Barron recorded his first two sessions (1961) with his brother Bill Barron (see Fox Hunt, Ode To An Earth Girl and Tone Colors), in 1962 he started recording Tom McIntosh composition with James Moody (Cup Bearers, The Day After, Ally, Sassy Lady and Minuet In G) and with Dave Burns (Tali). In 1963, with Dizzy Gillespie, he recorded Cup Bearers, The Day After and November Afternoon. Tom (on trombone) and bassist Richard Davis started recording together February 26 and June 11 of 1963 with Rahsaan Roland Kirk. Richard's next appearance involving Tom was on Moody's "Great Day" session, with Tom arranging and conducting. With Malice Toward None is also on that session. In August, Tom was back on trombone with Richard for a Milt Jackson session (see Just Waiting), and they continued recording many more sessions together over the years.